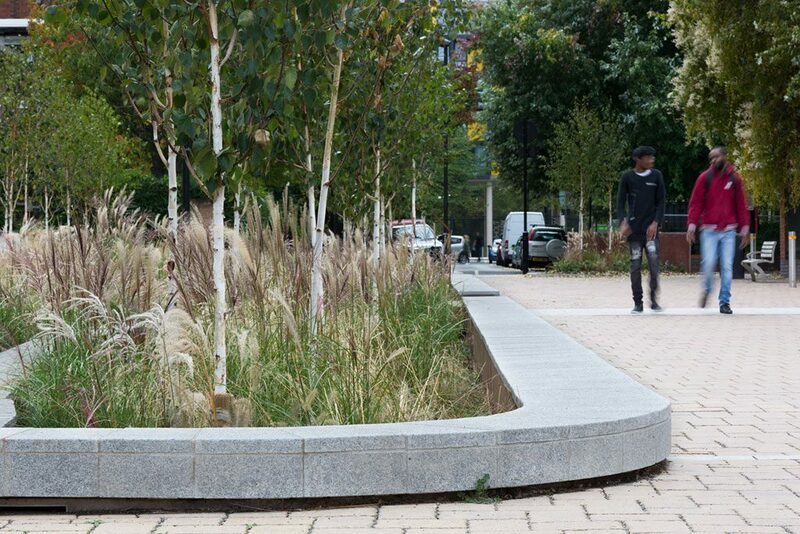 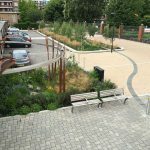 This scheme won ‘Winner of Winners’ (the President’s Award) as well as Winner of the ‘Adding Value through Landscape’ category at the 2017 Landscape Institute Awards, and also an ICE London Civil Engineering Award 2016. 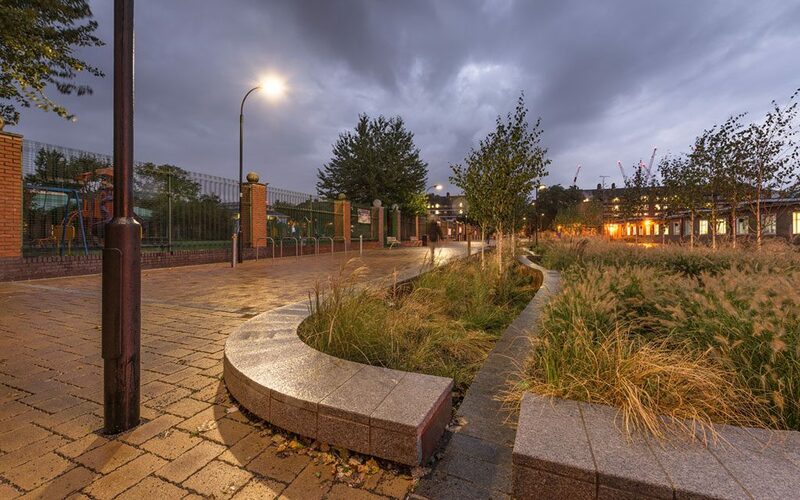 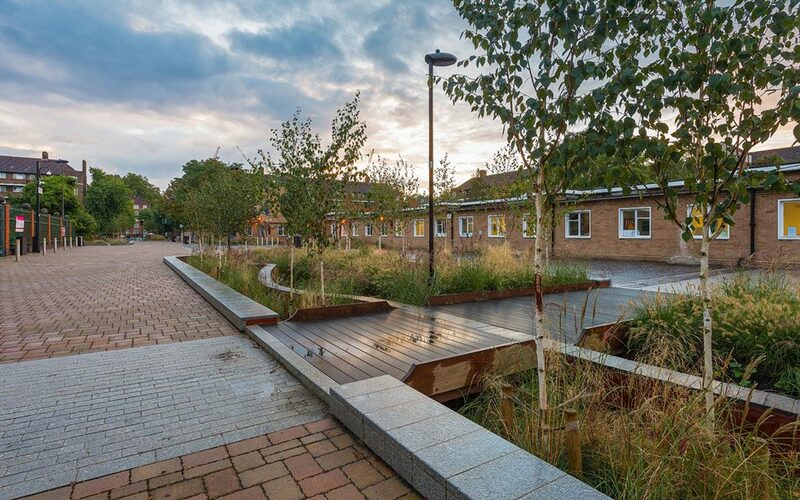 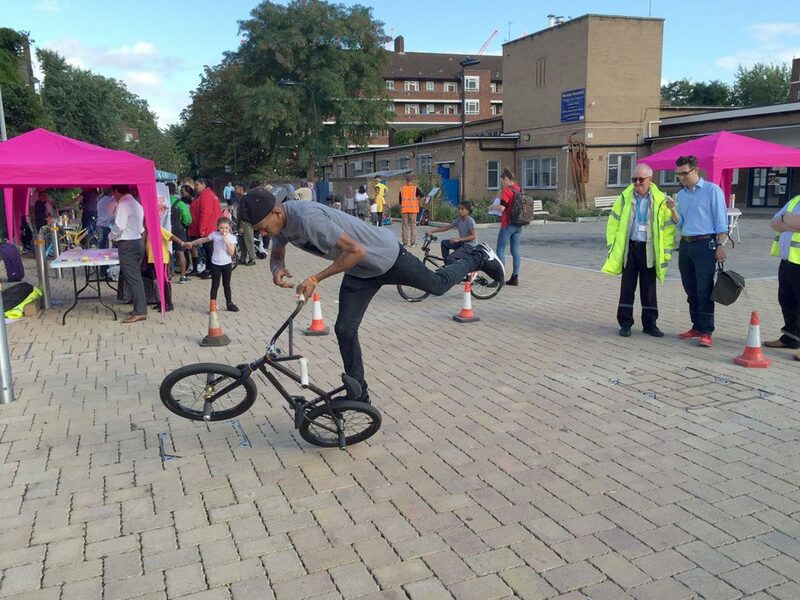 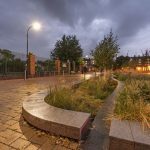 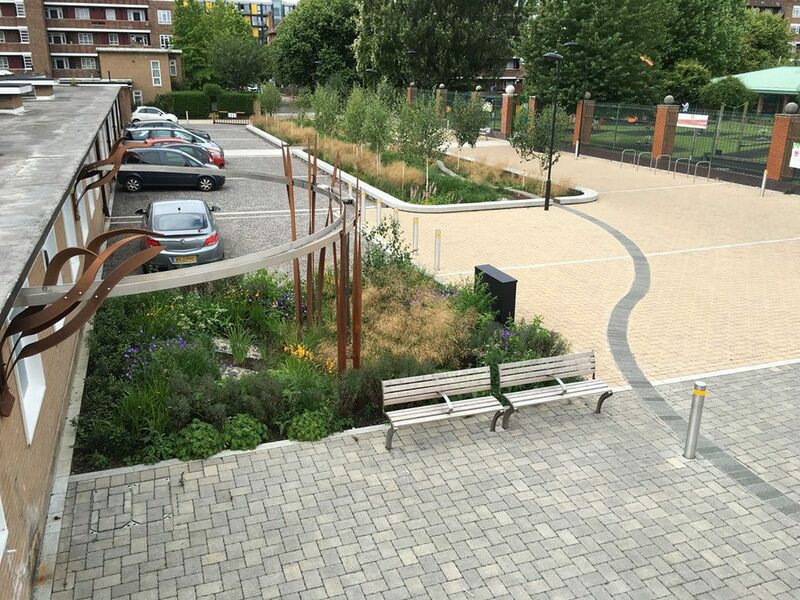 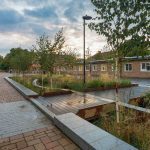 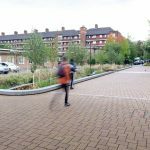 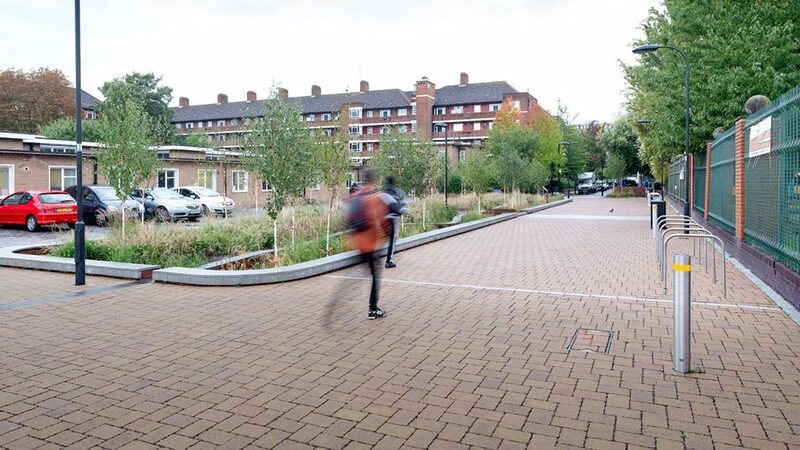 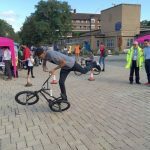 It features innovative urban regeneration with SuDS, serving a school and making extensive use of concrete block permeable paving laid over an existing road base. 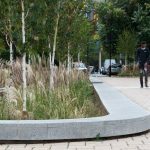 This collects rainwater and gradually discharges it horizontally into planted basins. 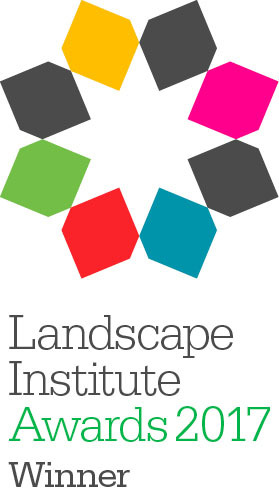 A case study is available here.